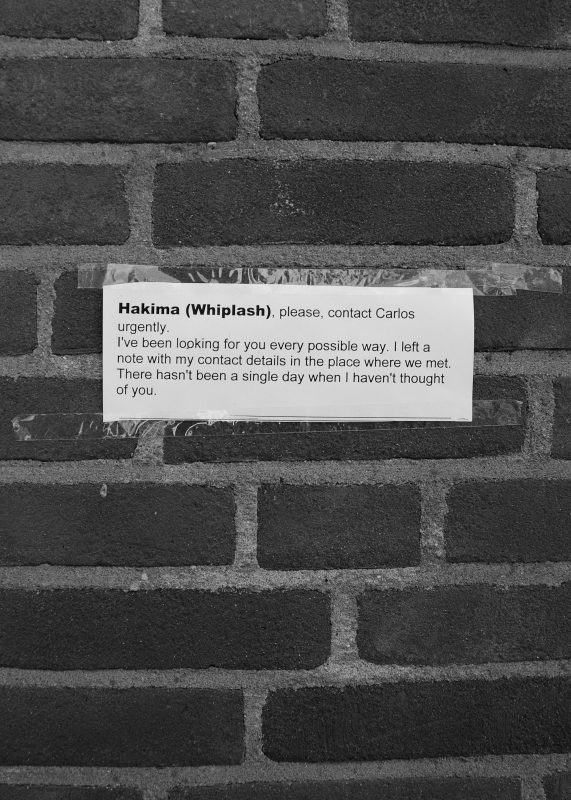 Hakima (Whiplash), please, contact Carlos urgently. I’ve been looking for you every possible way. I left a note with my contact details in the place where we met. There hasn’t been a single day when I haven’t thought of you. Found at Noordermarkt, Amsterdam – May 29, 2010.